Apple’s iPhone 4S has been knocked off its perch as the best selling smartphone in the US for the first time since the device launched in October 2011 according to Canaccord Genuity analyst T. Michael Walkley. 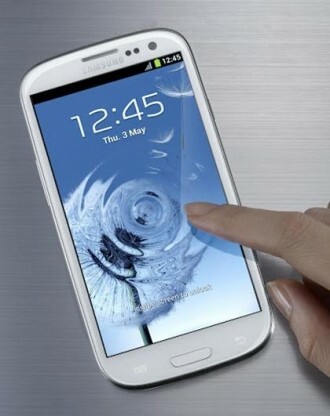 Samsung’s Galaxy S III has overtaken the 4S as the hottest phone in America but it likely won’t hold the crown for very long. Declining demand for the 4S doesn’t necessarily mean that Apple is losing touch with consumers or that Android handsets are pulling head in the smartphone race. Instead, as research from Gartner suggested last month, it is believed that many buyers are simply waiting until Cupertino introduces and subsequently launches the iPhone 5. As was expected, Apple sent out media invitations to an event for September 12 where they plan to announce the new phone. Walkley conducts research by checking in with multiple retailers to see how phone sales are going. His report also shows the Galaxy S III is continuing to do well among smartphone buyers. Meanwhile, Nokia, HTC and Research in Motion continue to struggle. Nokia is expected to have a solid showing tomorrow when they unveil the Lumia 820 and 920 handsets running Windows Phone 8 software. Smartphones based on RIM’s BlackBerry 10 operating system aren’t expected until the first quarter of 2013. We understand there will be six new BlackBerry phones and that two of them will be high-end devices expected to compete with other heavy hitters.